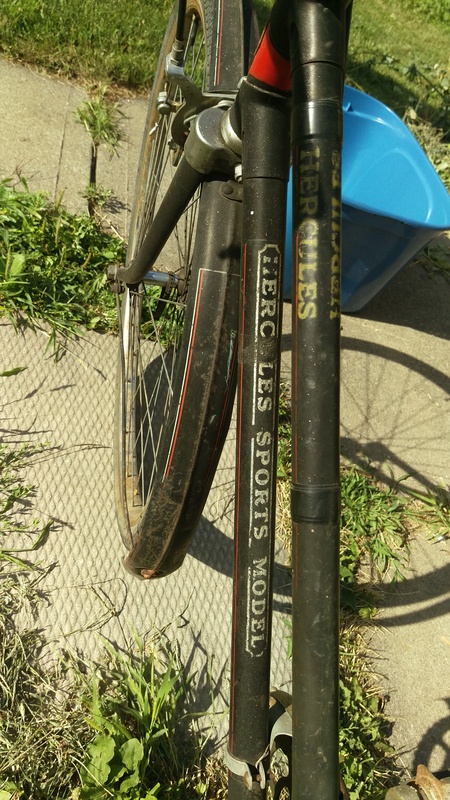 Picked up this cool old Hercules and am finally getting around to cleaning up the paint. At a bit of a loss as I've never worked on a bike of this era. 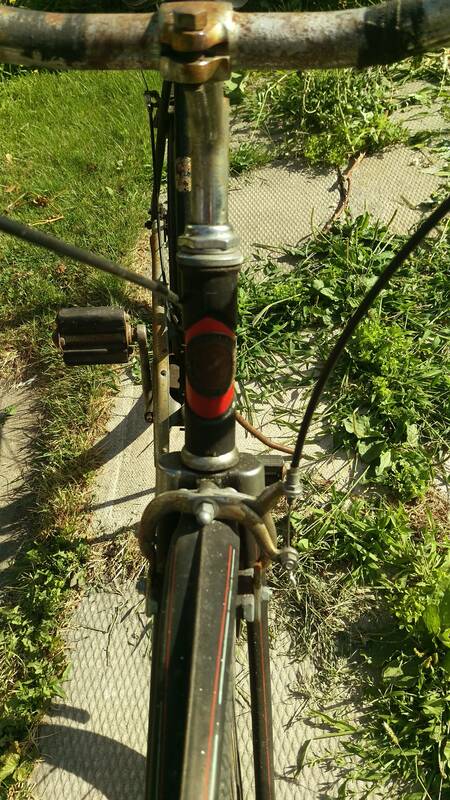 What can you find folks tell me about this bike and how would you begin to clean up the paint? As always, your insights are appreciated. What you have is basically what people on this forum call an "English three speed" (and there's a long thread dealing with them generally). I realize yours only has one speed, but that's beside the point. I can't tell the date; probably 1950s. Most of the visible rust on the frame and chrome will come off if you rub it with oil and/or wax. Start out gentle, progress to more aggressive measures only if necessary. At some point you really should overhaul all the bearings (hubs, pedals, headset and bottom bracket). 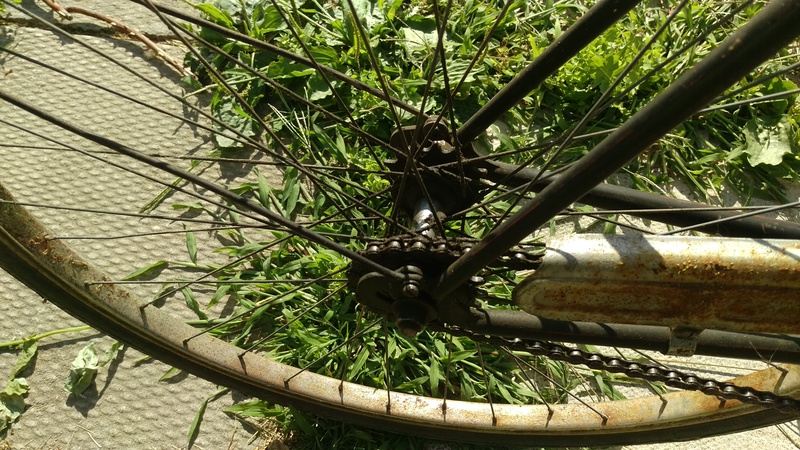 If there are oil holes in the hubs and bottom bracket, it wouldn't hurt to add some oil now, but you'll still need to overhaul them soon enough. Last edited by rhm; 08-07-15 at 07:23 AM. Oh man, let me at it! That level of restoration is right up in my wheelhouse. Use a good strong dish detergent for a good wash down. Check for decal replacement kits. Then, get after the paint with a "paint cleaner" until you see a faint shine (but no more because you are thinning the paint finish). Next, find a finish polish to remove the cloudy shine. A good car wax will buff it up nice. It's a lot of elbow grease but will have saved some paint. Find a decent name brand chrome polish for the chrome to remove rust and bring the chrome alive.